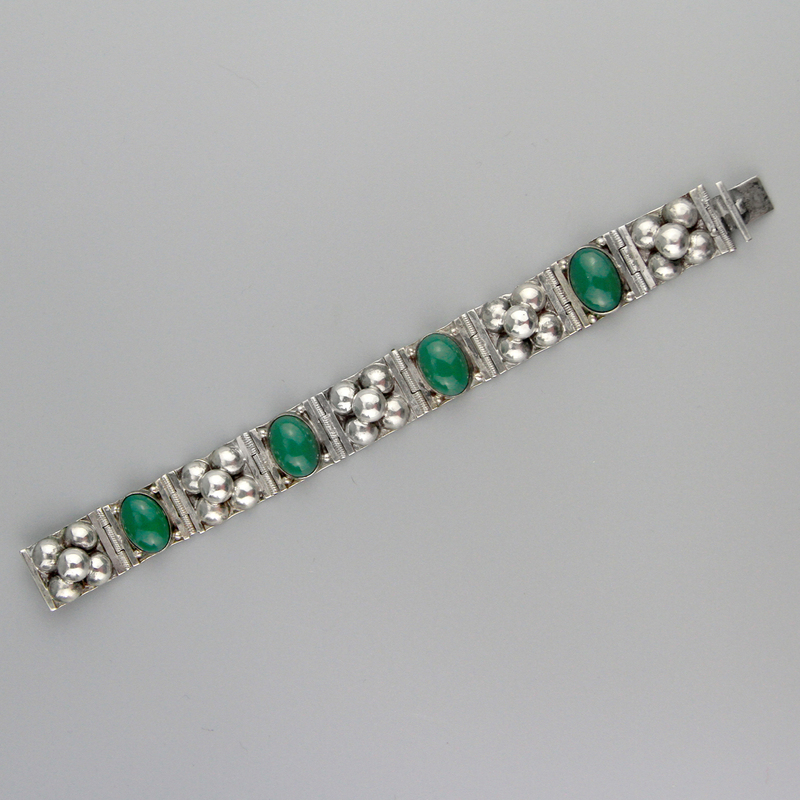 Lovely Mexican, art deco, sterling silver bracelet. 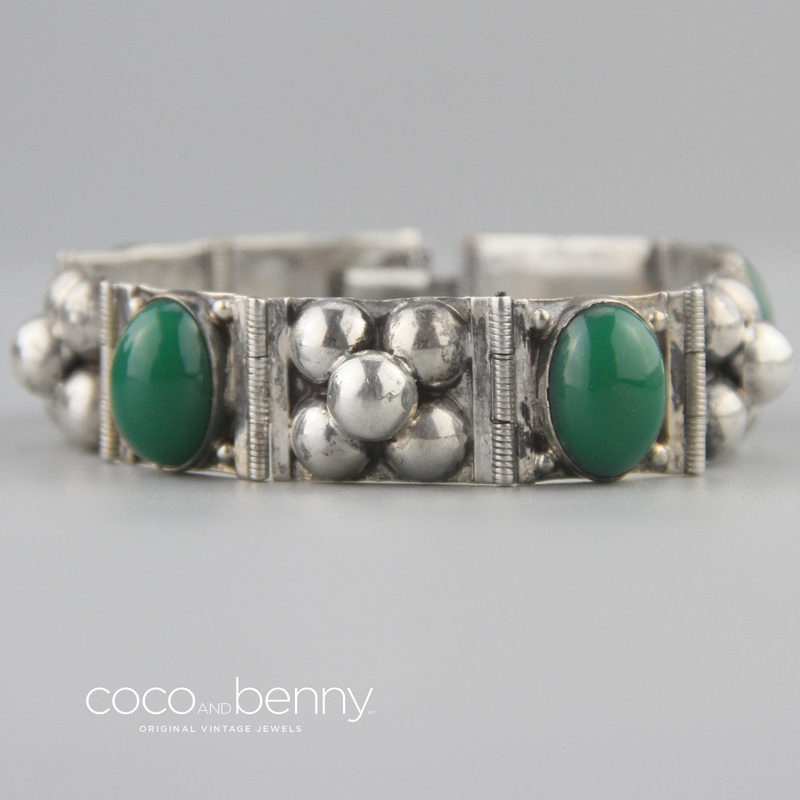 Elegant domed repoussé links set between oval chalcedony cabochonsin a smooth bezel. 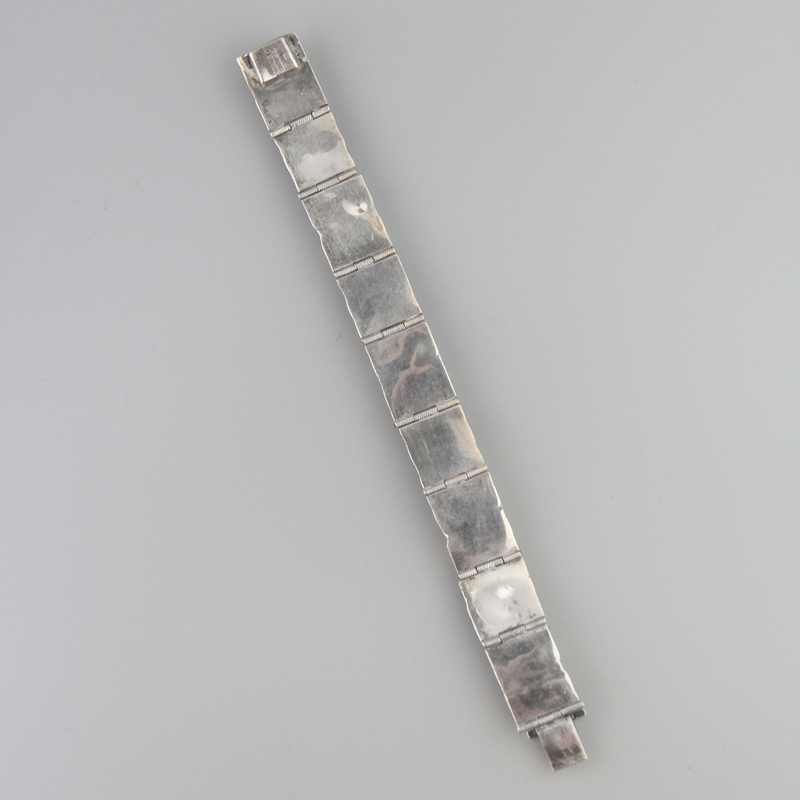 Handcrafted c1930s - 1940s, secure tab that closes with a crisp click. Spectacular vintage condition. Shows mild wear commensurate with age, no dings or chips, will come with some patina, as level of polish is a matter of taste. Has a handcrafted look to it - amazing vintage earrings. Please note these ARE secure in their bezel but not glued down so there is minor movement.